Motor Image is launching a new campaign for its Forester which stars a new and very unlikely endorser: Homer Simpson. The tie-up between TV’s most famous family and the purveyor of the Boxer engine and all-wheel drive was first announced at the 2016 Forester launch at the Bangkok International Motor Show by no less than Tan Chong International Executive Director Glenn Tan. Half a year later, the ad has finally started appearing across markets handled by Motor Image. 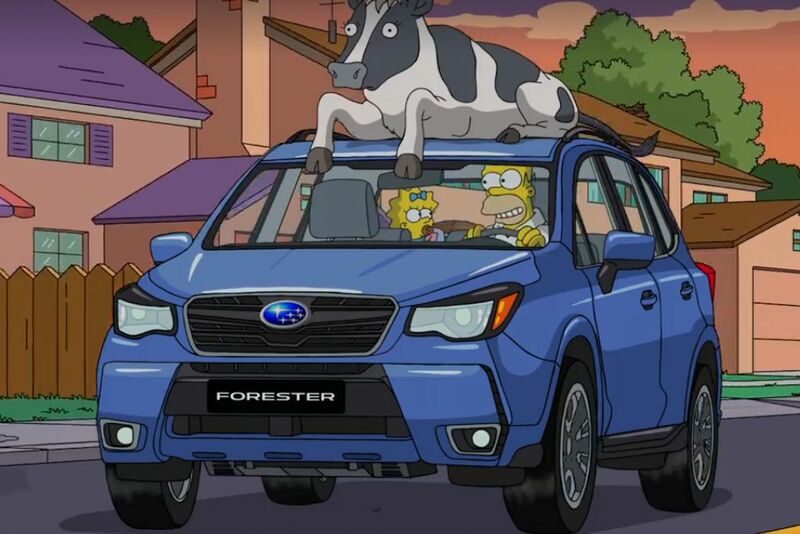 In it, the donut-loving patriarch of The Simpsons drives a Quartz Blue Pearl Forester. Wanting to find an organic meal for baby Maggie, Homer brings the Forester (literally) down and up a ravine and straight into a vegetable farm. He also happens to acquire a cow which he then proceeds to milk. It all sounds odd and surreal, so it’s best to actually see the video yourself. But even then, Autoactiv will still argue that the forester cannot match the colorado and trailblazer's offroad performance. Canned grunts from Homer Simpson? Can't they afford to get Dan Castellaneta to say something about the Forester?